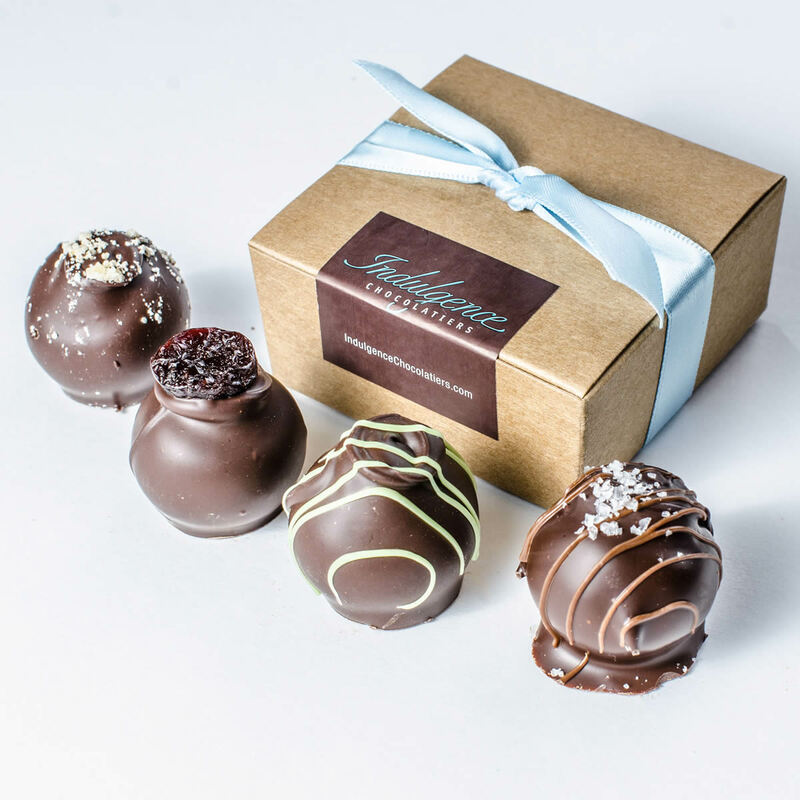 View cart “Event Favor 4 Truffle Box – Chocolatier’s Selection” has been added to your cart. Give your guests something sweet to remember your event by. 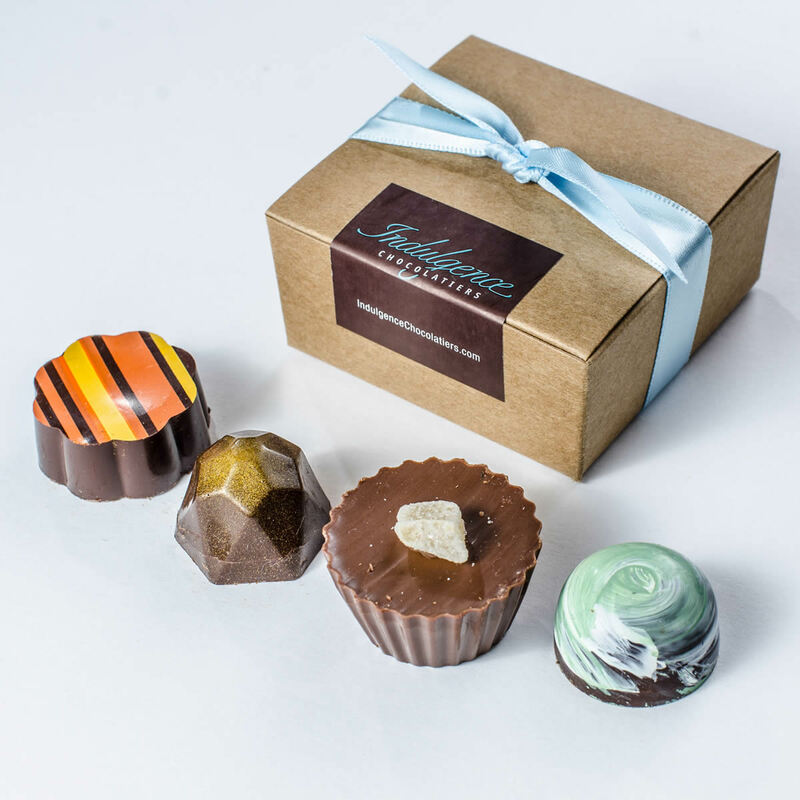 Whether it’s a wedding, corporate event, or any other special occasion, our truffle favor boxes are a wonderful way to let your guests know they are appreciated. Our chocolatiers will select an assortment of truffles from the below list to include in your favor boxes. However, if you have a specific request for certain flavors we offer, please let us know in the comments section when checking out. 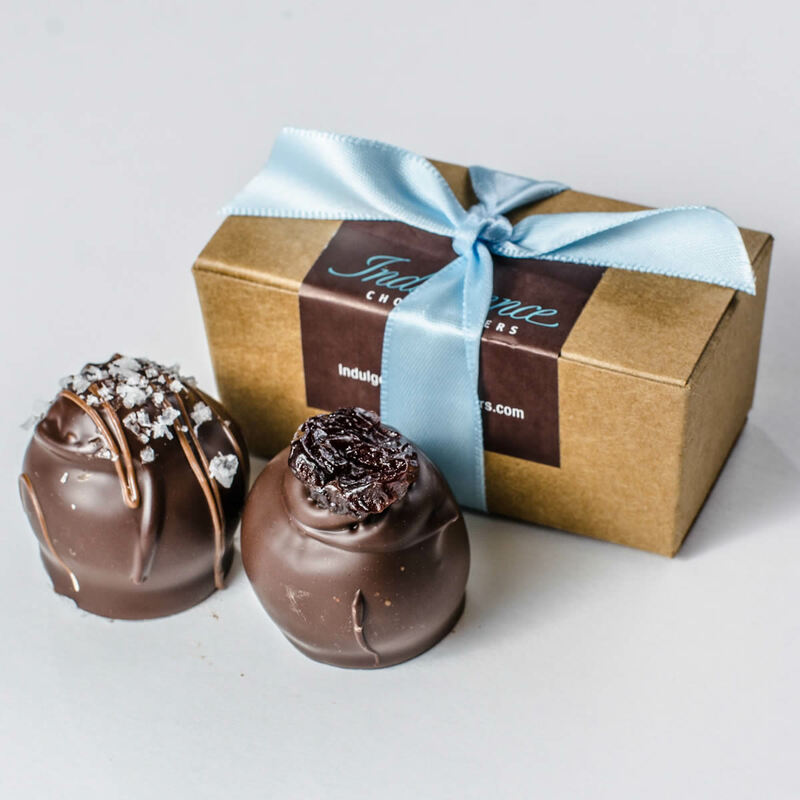 Interested in truffle favors with custom box or ribbon colors, or a custom label? Please contact us at 414-223-0123 or info@indulgencechocolatiers.com for more information.